A crane collapsed during operations at Jingjiang Port’s Taihe terminal in Jiangsu yesterday, Feb. 3, 2016. The operator of the crane died after being sent to hospital. Two vessels berthing at the terminal were also suffered damaged. Authorities have commenced investigations into the incident. 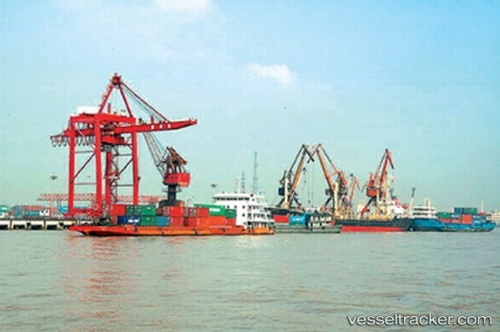 Jingjiang Port is a major river-to-ocean transit port on the Yangtze River, and the Taihe terminal mainly operates breakbulk cargo.